Ike Souzer, 15, escaped from the Orange County Juvenile Hall on Friday, April 12, 2019. Authorities were searching Friday for a teenage murder suspect who escaped from juvenile hall in Orange, where he had been held since allegedly stabbing his mother to death in 2017. 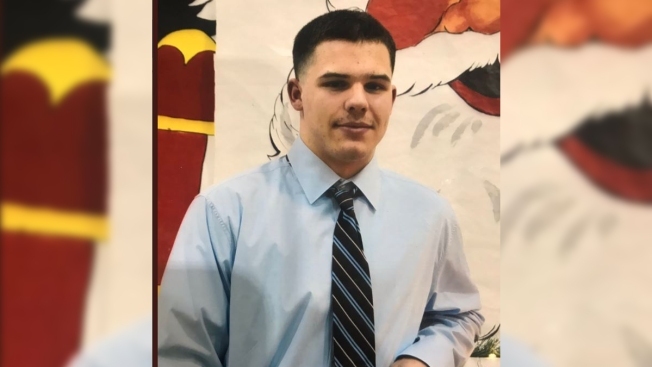 Ike Souzer, 15, escaped from the facility in the 300 block of The City Drive South about midnight and has a laceration on his left leg, according to Carrie Braun of the Orange County Sheriff's Department, which was assisting Orange County Probation Department personnel in the search. The boy is described as white, 6 feet tall and 200 pounds, and was wearing a white shirt and red pants when last seen. He "has connections in Orange and Riverside counties," so authorities have been in touch with those people, Braun said. About five dozen personnel, including sheriff's deputies, district attorney's office investigators and probation officers, were searching for the youth, who is accused of fatally stabbing his mother at their residence in the 11000 block of Gilbert Street in Garden Grove. Anyone with information about Souzer's whereabouts was asked to call the sheriff's dispatch office at 714-647-7000. If anyone sees him they should call 911. Orange County Crime Stoppers will accept anonymous tips at 855-TIP-OCCS.